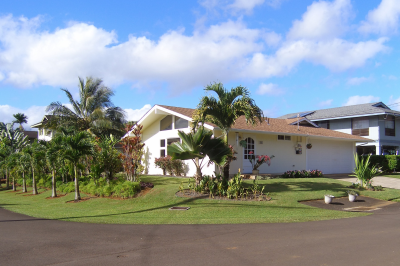 Immaculate Kilauea home in perfect condition with a beautifully landscaped yard and mountain views. 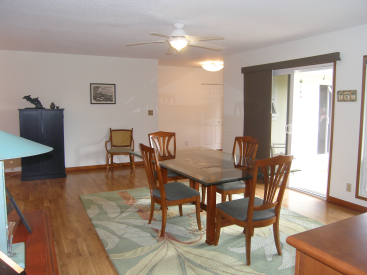 This two-bedroom home, with an easy option to modify to 3, is in move-in condition. 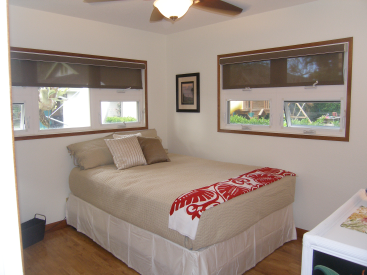 If you are looking for perfection in Kilauea at a reasonable price, this is it. 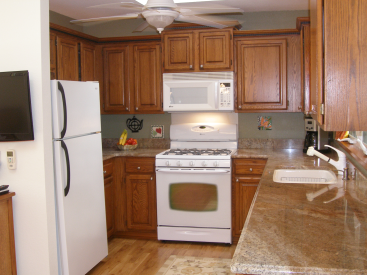 The open kitchen/dining living area has laminate flooring, built-in cabinets in the dining/living area and slab granite counter tops in the kitchen and bathrooms. Two full baths in the main living area. Two-car carport with a half bath. A new roof was installed in 2009. Solar Water Heater and Photovoltaic provides an average utility cost of $37.66 per month. 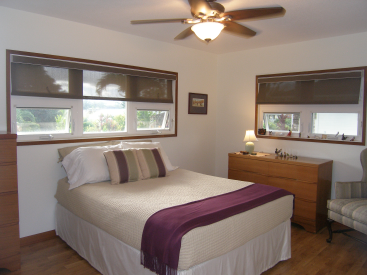 The owners updated the home in 2005 with Vinyl rollout windows and in 2006 added 3M UV film. They look like new! Plenty of storage. Propane stove. 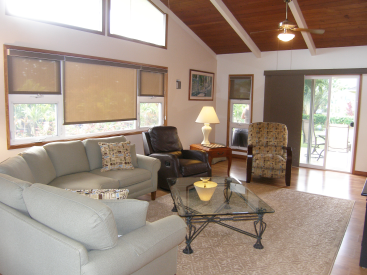 Enjoy Surround Sound and Skylights. The patio was upgraded in 2010. The exterior was painted in 2010. You really must see this impeccable home.